I became aware of Samuel Yirga a few years ago when I first heard his Habasha Sessions album. I was instantaneously struck by the natural flow of musical style that combines into a stream of emotional creative narrative and defies classification. It is an album I play often and continue to discover anew each time I hear it. Yirga’s piano playing combines the traditional sounds of Ethiopia’s various styles and regions with western classical and jazz in a fashion that maintains melodious flow, seamlessly connecting styles ranging from funk to Ethiopian chords over a background that’s reminiscent of the romantic classical music era. Yirga was in London for Susheela Raman's Sacred Imaginations at the Barbican to celebrate the influence of ancient music that was inspired by early Christianity and included a formidable cast of musicians. We met for a chat over coffee in a noisy café in the east end where the interview was quickly replaced by a conversation about the musical styles and influences which continue to affect his unique playing, writing and arranging. Reuben Klein: Do you feel like an ambassador for Ethiopian music? 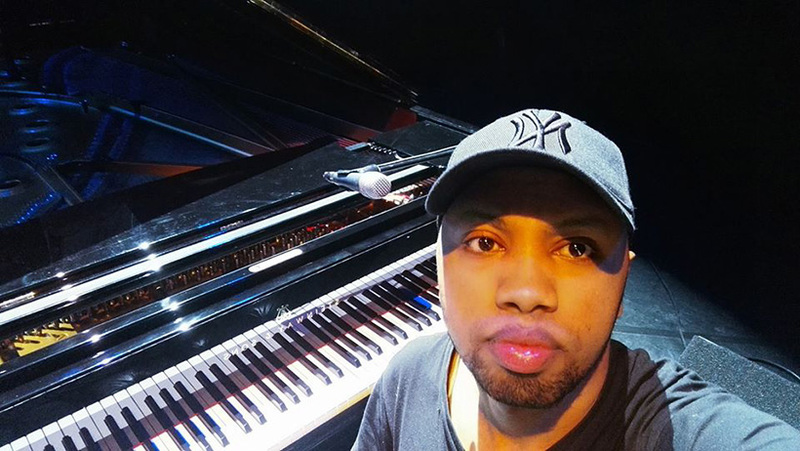 Samuel Yirga: More than that, I feel as if I am an ambassador for Ethiopia first and its many diverse music styles which are rarely ever heard out of its borders. I feel like I am very humbly taking over the torch which was and is carried by Mulatu Astatke. Your music and keyboard playing style are very introspective and intimate, it this a result of desire to create a signature or a style you prefer? People tend to try to classify my music as jazz, I am trying to highlight to listeners my feelings and the way I see the world through my notes. I don’t have the means to judge what kind music I play, I don’t tend to view myself as a musician of one kind or another, I am a musician not a style bound player or specialist of one kind or another. What music influenced you and made you want to learn to play the piano? In my youth country music was very big in Ethiopia in addition to reggae and western pop, I was nourished on sounds that included from Bob Marley and Celine Dion. I remember discovering the funky sounds of Manu Dibango which impress me even today, I can’t quite single out one style that made me want to play. I started my piano playing late, I was 16. I am a self learner who continues to listen to wide range of music. At my music school, which was almost strictly classical, I formed a funk fusion jazz ensemble which included percussion bass and sax, so I am not vested in to any style of music. Music is a calling of sorts I guess. Are there musicians that you wish to collaborate or play with in one form or another? I would love to have Richard Bona from Cameroon playing with me, I have a few other names that I would rather keep confidential, there are various musicians in Africa the US and in Europe who are not related musically or stylistically. I am hoping to create a pan-Ethiopian collaboration between current local pop and traditional musicians using native instruments which are only played in Ethiopia. It is a constant search for inspiration and collaboration. When looking for collaborations inside Ethiopia where do you find audiences and musicians? It is very difficult to find partnerships and places to play my music outside of Addis, but I have found a few. I am trying to merge and preserve Ethiopian music while working on my very many projects. My ambition is to create collaboration between very distinctive Ethiopian regional music and current modern Ethiopian pop, I want to go as far as creating a pure Ethiopian pop music as well. Music should be about feelings, connections and stories that merge and unify people and cultures and I would like to express them in as many forms as possible. Are there any collaborations or albums that you are in the process of making or releasing? After Guzo [Yirga’s second album] I have made time for different types of projects, I have toured and played with a very diverse range of people and found myself touring in the UK (Womad and Glastonbury) in Germany with DJs and even in Israel at the Red Sea Jazz Festival. I would like to find more collaborations inside Africa, I like the Malian music and dedicated a track on Guzo to it. I am fascinated by Moroccan native music and by the funky rhythms from the Kongo and South Africa. I am working on three albums and hope to be able to have a new one released in the next year. I am also dedicating time to writing scores for cinematic music which I am very fond of as well, and in addition hope to put together more musical events inside Ethiopia itself. 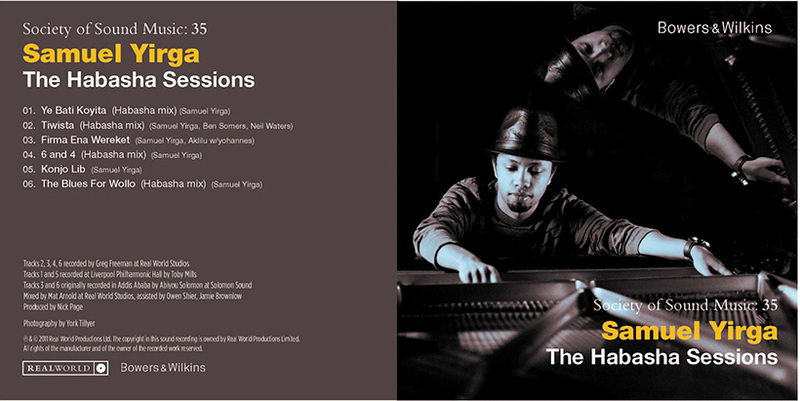 Those who are curious may wish to read the original review of the Habasha Sessions elswere in the music section. Very highly reccomended, audiofiles will be happy to know that the recording quality is excellent.